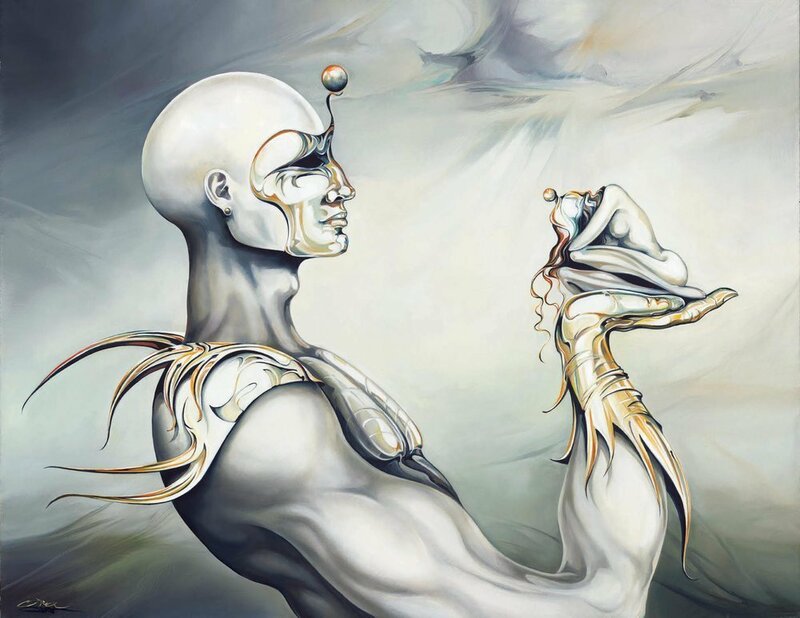 I’d like to thank this month’s featured artist, Ora Tamir, for her wildly incredible, contemporary surrealism, and permission for inclusion in Gen Society. To learn more about Ora check out her biography below and visit her links. After setting these recordings on the shelf for a few years, they’ve finally resurfaced…. My upcoming 2019 release, Spiritual Revolution, will be a full-length acoustic album consisting of a group of songs I’ve been toggling around with for some time now, some being over a decade old. Until the official release date, I’ll be showcasing individual tunes from the album via Gen Society and Loryn websites. Stay tuned for further updates! My mind was flipping through a rolodex. The voices kept with me… was I imaging this—the sound that began in the forest in my submerged, dissociative state—screeching animal jeers and shrills of confinement. Those contemptuous laughs are burned in me. I didn’t even know apes could laugh, but was it even them. The appeal, like an anglerfish pendulously waiting for its prey. We were dispatched to rediscover and protect the land. The ruthless, tempestuous, tremorring shell; our four-and-a-half-billion-year-old godmother that holds no prisoners—vapors dissipating from the apothecary vents. Each opposing ideal was a threat and should be immediately slated. We are constantly reminded, as we trail through the history of mankind, that everything stretches the binds of incidental revenge. Our bed was made before we had time to reflect upon it. We were a blip in the spectrum of evolution. A parable in the footnote of creative genius. From what we’ve been told to where we’re at now, by our government, our lawmakers, our leaders & dictators, and those appointed surreptitiously by ours and ours alone… our supposed deities—we are more lost now than ever. And the grave questions no longer stand tall to ask, let alone answer. I wasn’t exactly sure why we’ve been summoned and what our purpose was. I wasn’t settled on the narrow-minded platitudes that drive generational explanations to the oversimplification of life’s evolutionary purpose and its experiential value within the soul dynamic of the collective individual. We had a specific mission, and I intended to see it through. There are systems to everything, even purpose. I’ve picked at and elasticized its skin like I have my own, furrowing helpless, trying best to explain the expectation that restrains the soul. I shall deliver what has never been deliverable in the realm of intellectual property and organic chemistry. A manifestation of a system created by the pure entity of another system. Each covert will contain within it a purely autonomous development, regardless of its texture or hide. It has been the result of mass production through singularity. But why us, now, while my power’s so fragile, demented in the coil of evolution’s cruel commander. We are experiencing, individually, the growth of an entire catalyst body of billions, each having interwoven thoughts that solidify individual isolation; dreams, actions, temperaments, the modus of communication, personality defects, the way we fight and initiate wars… the way we love. This was our deliverance from the servitude of our lives, genetically made-up into one programmable, indistinct soul. It had been decided for us, and I’m only wondering now if that had always been the case. There will be few left. Closing in, only few enlighten. Some would forge ahead, but only few will survive, at least contained compartmentally in the elemental body-mind-spirit. And as I struggle to understand this now, it will be made-up to preserve the residue of our species, hopefully, by imparting only its most endearing qualities. Hopefully… and that’s all we could do at this point, was hope. at least in its greatness. Born in Israel, Ora Tamir immigrated to California in 1980. 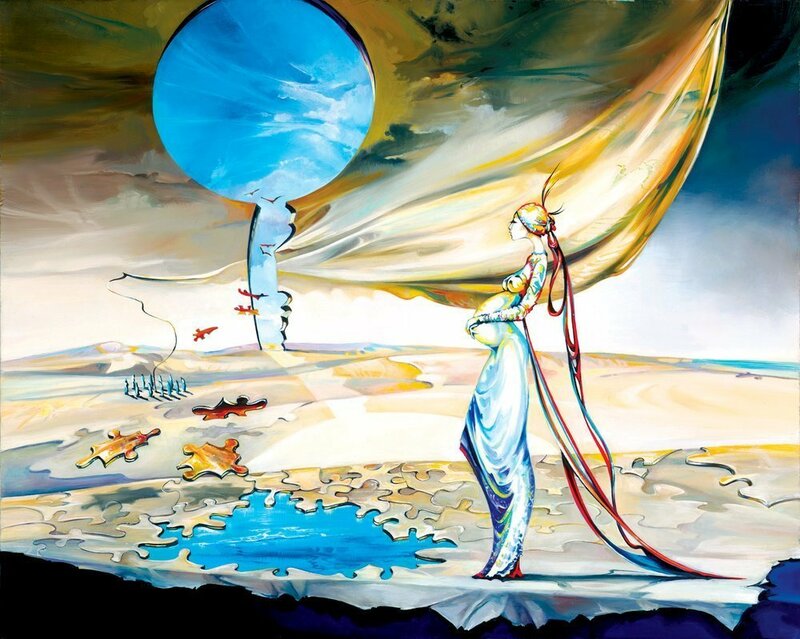 Ora’s paintings are purely intuitive, surreal with a futuristic quality and haunting beauty. The images are personal, touch the soul and have a distinctly unique feel to them. Every original is a long labor of love. Trying to describe Ora’s paintings is like trying to describe dreams. 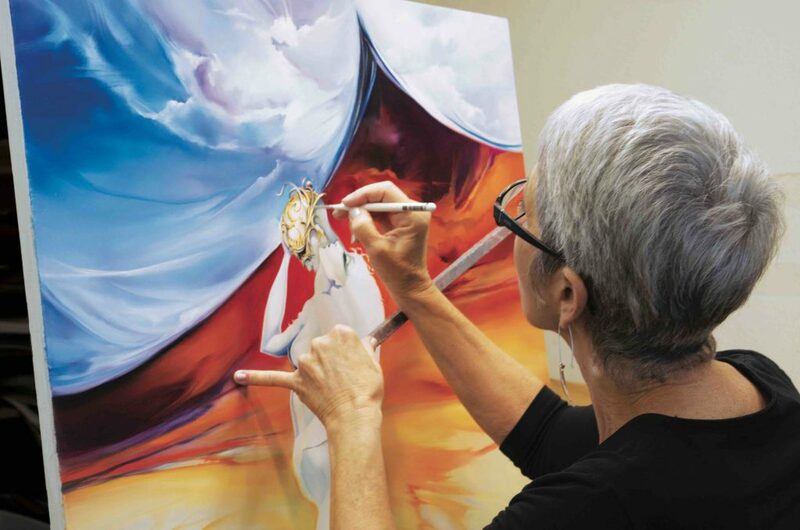 Using soft sable brushes and oil paints, symbolic stories are created. 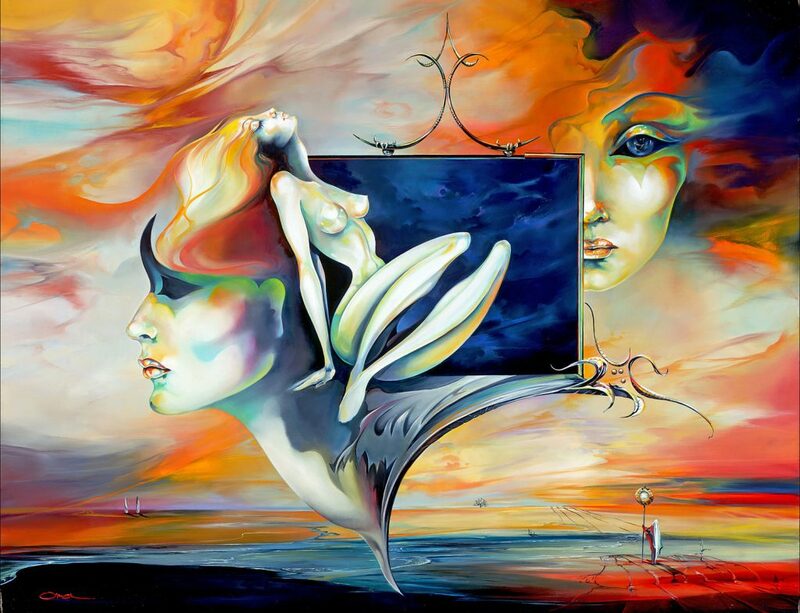 Her surreal sensual paintings express basic emotions and tap into the intricate human web. 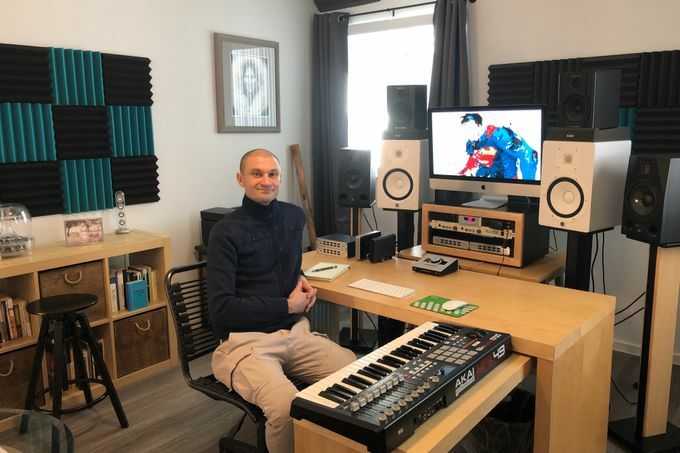 In addition to being an art space blog for writing, travel, music and visual art collaborations, Gen Society is an online venue for a one-on-one creative relationship designed to help artists expand their creativity. It is a platform for music lessons, artist mentorships, creativity counseling, and music production. A place to share and create, with the opportunity to give and receive critique. 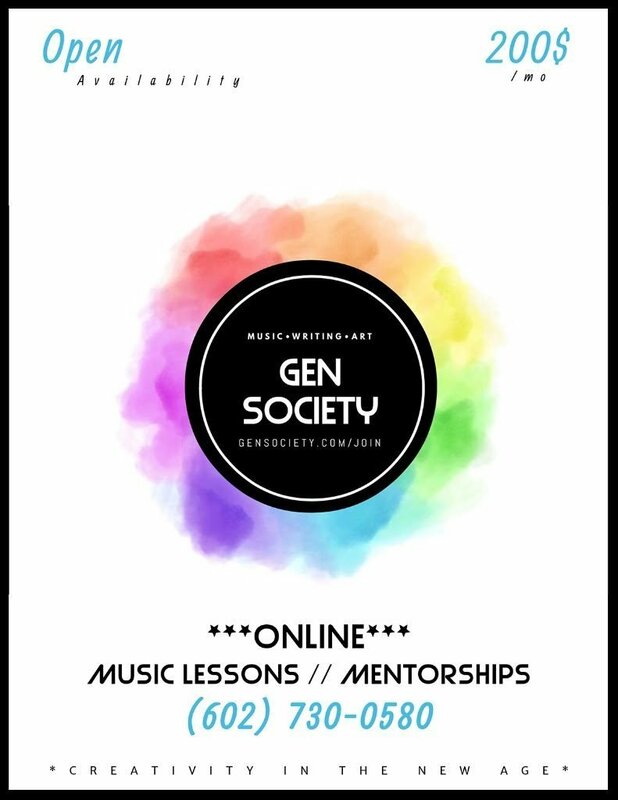 Gen Society is an experience for those looking to grow as an artist and move beyond their own personal limitations and/or those in pursuit of guidance to becoming an artist themselves.